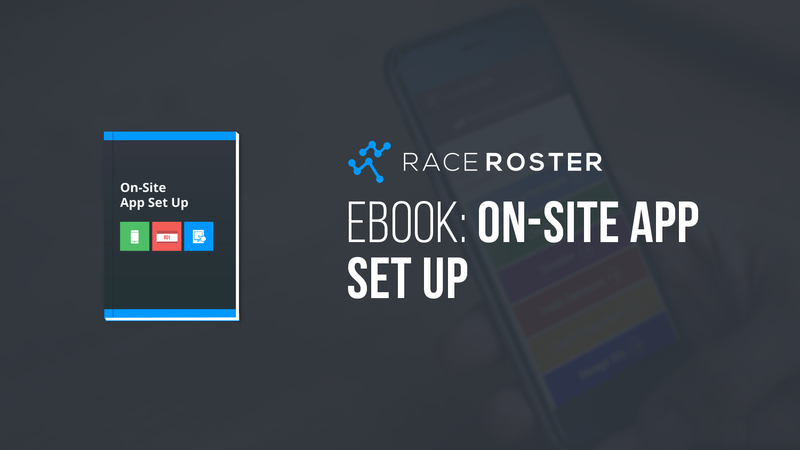 Our On-Site App Set Up Ebook is the first in a series of planned Ebook releases in the coming months. Event Day is just around the corner. Since you missed out on 20 last minute registrations in 2014 it’s time to take Event Day into the current century. 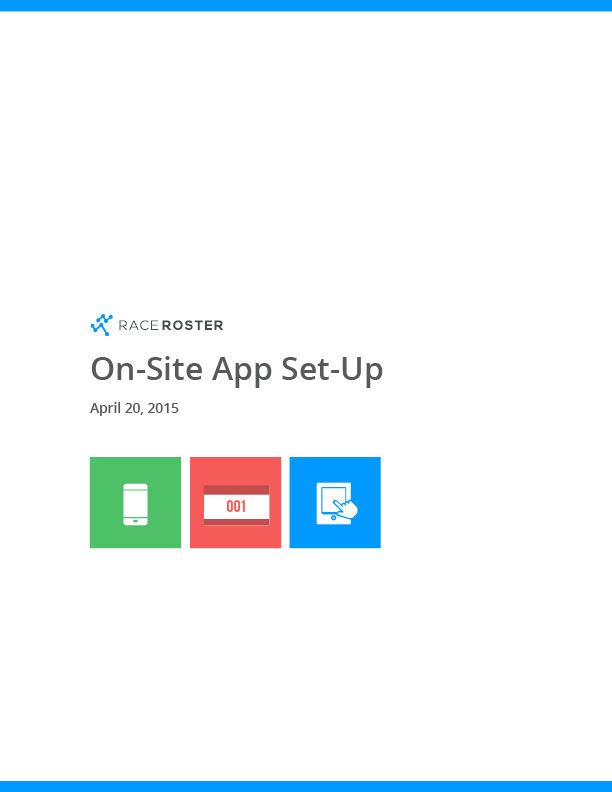 Race Roster’s on-site app can process credit card transactions and accept online donations using a tablet or laptop. You can add as many devices as you want and oversee all transactions with a Manager Device. Before all that happens you’ll need to configure the app to your particular needs. This guide will walk you through the process step by step. Click on the photo below, and you’ll be taken to the download page.